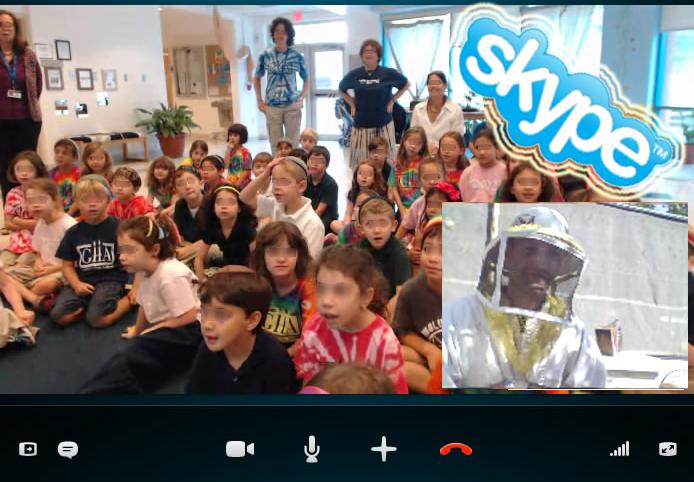 Your children can now see our bees and talk to our beekeeper even if they are on the other side of the world. Modern technology enables us to offer an additional special activity for school children all over the world. are located, or at another suitable and scheduled time. 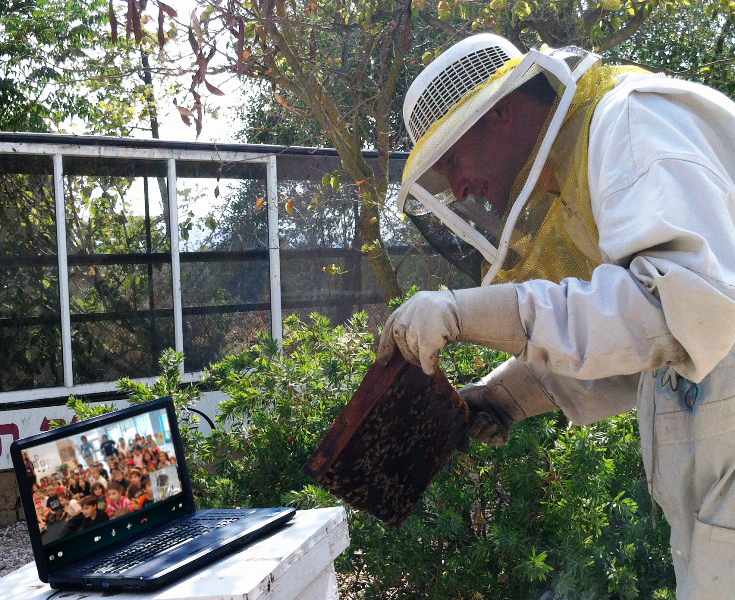 We conduct the meeting from the apiary with real hives and real bees dressed as a beekeeper of course. We show the children how we take care of the bees. I am the Interim Head of School at Greenfield Hebrew Academy in Atlanta. 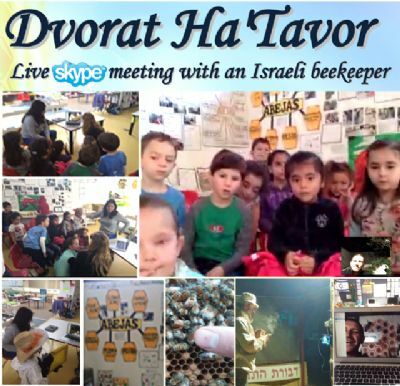 Last Wednesday, Erev Rosh Hashana, I had the unique opportunity to join you and the first and second graders in our school to learn about bees and honey making. I walked in to the room to discover my children totally engrossed in the SKYPE meeting with you which you conducted only in Hebrew. Your manner with this young group was superb! You were warm and animated as well as informative. You understood the children's developmental needs both in terms of what concepts they could absorb but also the kind of language they could manage. The children were totally involved from the beginning to the end. 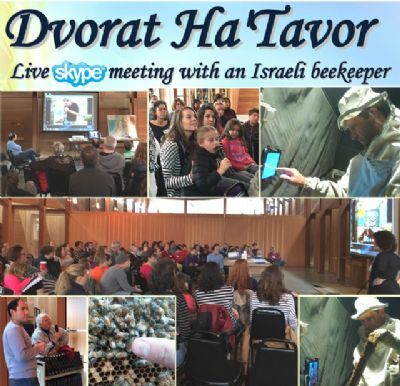 We all, students and teachers alike, learned so much and were excited about this direct interaction with you in Israel. I would be happy to serve as a referral for any school who would like to hear about the valuable nature of this interaction with you. You brought Rosh Hashana and Yisrael directly into our school. This was the perfect way to start our Rosh Hashana and I can't thank you enough for giving of your time in this meaningful way.